Pforzheim – The advantages of Intelligent Platform Management Interfaces (IPMI) in system monitoring, recent novelties with MicroTCA.4 as well as a compact system optimized for face reognition are the main topics at the ELMA booth no. 304 in hall 4A at the embedded world in Nuremberg. What ELMA computing power can achieve in the security sector shows a small form factor system with camera and integrated face recognition software. Equipped with an Intel i3 processor the system is optimized for fingerprint, object and iris recognition. Interested visitors can test the system during an exciting live demonstration at the booth and get any information required about adaptation possibilities. The German Electron Synchrotron (DESY) of Hamburg furthermore presents the latest boards within the field of MicroTCA.4 at the ELMA booth. Via ELMA crate with 12 slots, visitors can get any information about the interaction of the individual components and how the powerful MicroTCA.4 technology proves successful in everyday research activities. What an intelligent platform management interface interacting with VPX-systems can accomplish is shown in another live demonstration. A chassis management controller particularly developped for VPX enables management of the system via IPMI-standard protocol. The system anticipates almost every aspect of the VITA 46.11 specification. Advantages of this new technology can be tested directly at the booth. ELMA ist ein weltweit tätiger Anbieter von Lösungen für den Bau von Gehäusesystemen für die Elektronik. Die Produktpalette reicht von Komponenten für 19“-Mechanik über modulare Gehäuse, Backplanes bis hin zu kompletten, sofort einsatzfähigen Grundsystemen. 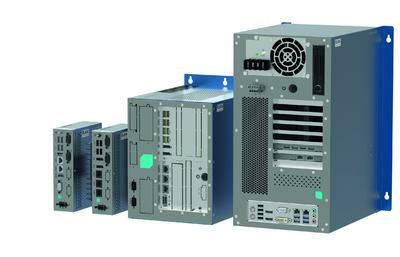 Das Standard Produktportfolio deckt alle gängigen PICMG und VITA Spezifikationen, wie ATCA, MicroTCA, cPCI, PICMG 2.16, CompactPCI Express, VME/VME64x, VITA 31.1, VXS/VITA41 und VPX/VITA46 ab. Im Vordergrund steht immer die perfektionierte, für individuelle Anforderungen konzipierte, kundenspezifische Lösung. Von der ersten Idee, über Entwicklung und Prototyping bis zur Serienreife sowie umfassender After-Sales-Betreuung bietet ELMA durchgängig hohe Qualität aus erster Hand und in einem Guss. Höchste Flexibilität zur Erfüllung anspruchsvoller Kundenwünsche sowie die jahrzehntelange Erfahrung in der Entwicklung und Produktion von Komponenten und Systemen für komplexe Anwendungen zeichnen ELMA als zuverlässigen und seriösen Partner aus. Entwicklung und Fertigung von standardisierten und kundenspezifischen Grundsystemen, Backplanes, Industrie-PCs, Panel-PCs, Mechanik-komponenten für 19“-Anwendungen sowie Schalter und Encoder höchster Präzision.